Samsung’s flagship device, the Samsung Galaxy S9 Plus has made its way into Nepal with a 128GB storage iteration. Originally launched on February 25, 2018, it took some time to make its way to Nepal. But even then only the 64 GB variant had been launched in Nepal. But now finally the 128GB version is also available. You can get this variant in any Samsung stores all around Nepal. 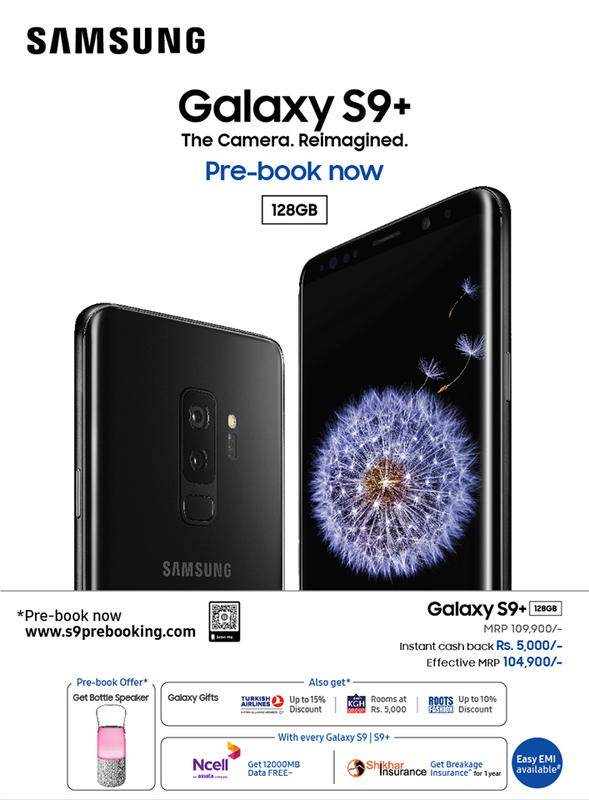 Samsung S9 Plus 128GB is priced at Rs 1,09,900 in Nepal. 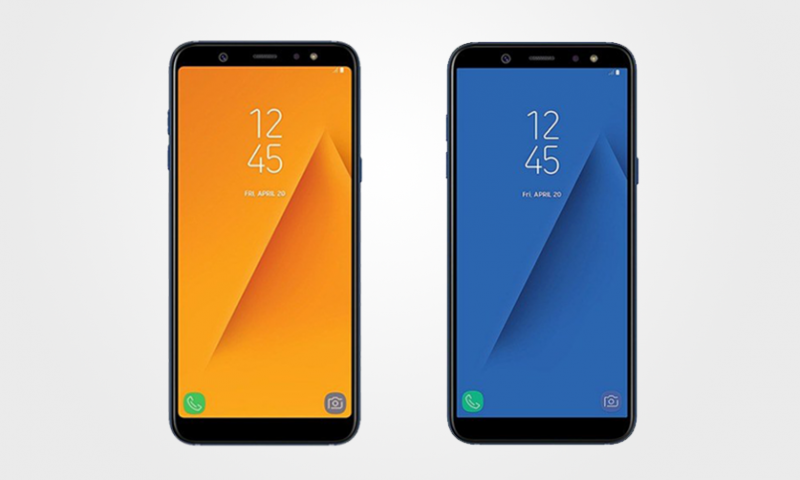 The Samsung Galaxy S9+ comes with a Qualcomm Snapdragon 845 or Exynos 9810 SoC paired with an Adreno 630 or Mali-G72 MP18 GPU. The RAM on this device is 6 Gigabytes which is more than enough. The display in the Galaxy S9+ is a 56.2-inch Super AMOLED capacitive touchscreen with a resolution of 1440 x 2960 pixels, which is an 18.5:9 aspect ratio screen. The camera on the S9+ is a dual camera setup with 12MP sensors one of which is a telephoto lens. The battery in this device is 3500 mAh Non-Removable Lithium-ion battery. Samsung Galaxy S9 Plus is without a doubt one of the best Android smartphones you can buy. Samsung Galaxy S9 Plus might not be a great upgrade over the Galaxy S8 Plus, but this phone is hands down insane. I have no complaints about this device whatsoever, well except the Bixby. This is as close to the “perfect-smartphone” as we have gotten. The glass back, Slightly curved edges, IP68 Water and Dust resistant, Qualcomm Fast Charging, this phone has it all. 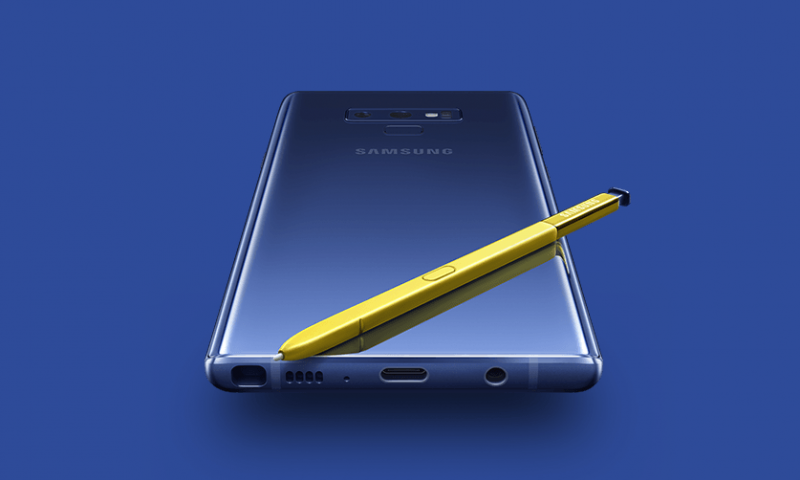 On top of this phone being a great smartphone and all, Samsung has come up with offers which make the purchase of this device even more appealing. With every purchase of the Galaxy S9 Plus, you are getting an instant 5,000 rupees cashback. So this makes the price of the phone Rs. 104,900. 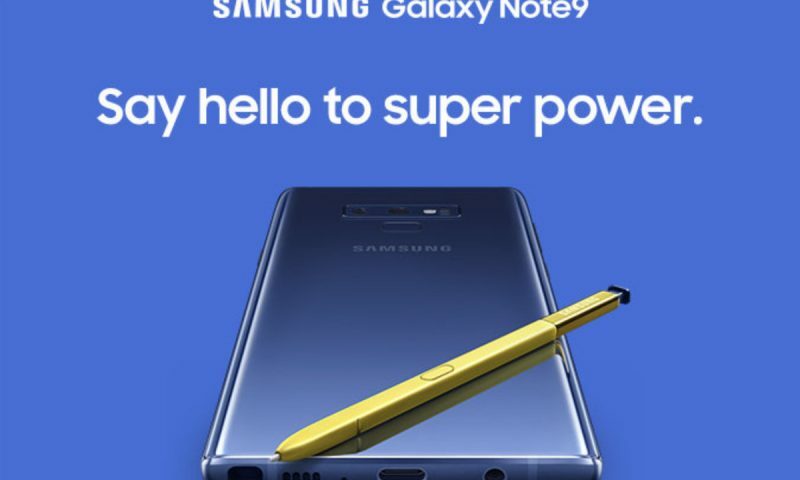 Again, if you are among the ones who pre-book this device, you are also getting a free bottle speaker with this smartphone.